When it comes to vehicle recalls Toyota apparently have dominated the headlines in the early part of 2010. What is less apparent is that recalls are far from unusual in the motor industry with manufacturers regularly carrying out recall work on vehicles in the national vehicle parc. Most of these are kept low key and under the radar of the consumer and the press despite the fact that there are 439 recorded recalls with VOSA (Vehicle and Operator Services Agency) during 2009 alone. What did Toyota do Wrong? So why did the Toyota story hit the headlines? Well firstly Toyota have for many years enjoyed excellent Customer Satisfaction results setting an enviably high standard that many others aspire to emulate. Secondly the issues relating to the Prius are accentuated by virtue of the phenomenal success of the Prius model range as the industry leading hybrid vehicle. 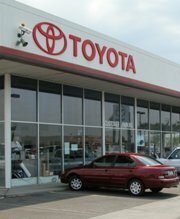 In many ways Toyota could therefore be considered victims of their own success as they have set the bar extremely high. The fact is whether we like it or not, recalls are inevitable – manufacturers are always developing new features which have enormous consumer appeal in direct response to consumer demand, and in the case of Prius features which serve to accelerate valuable industry progress towards fuel efficiency and low emissions. The rush to get these new products to market may not be always prove a successful long term strategy. However, testing every part for a lifetime wear is a near-on impossible task. That said what is important now is how Toyota, and every other manufacturer deal with their recalls going forward as they will be measured on their actions – their commitment to, and delivery of, the overall customer experience as well as the underlying product problem. This is an area where well known and trusted brands will either suffer great damage or live to fight another day.